What better way to show Lennox's degree-perfect temperature control than to actually show it. Using thermochromic paint, we tasked five muralists to create a visual representation of changing temperatures. Then, to celebrate, we held an 'opening' - inviting artists and influencers to an event at LA's Container Yard. Nearly a year after the original Degrees of Perfect event, we brought the art back to SXSW. 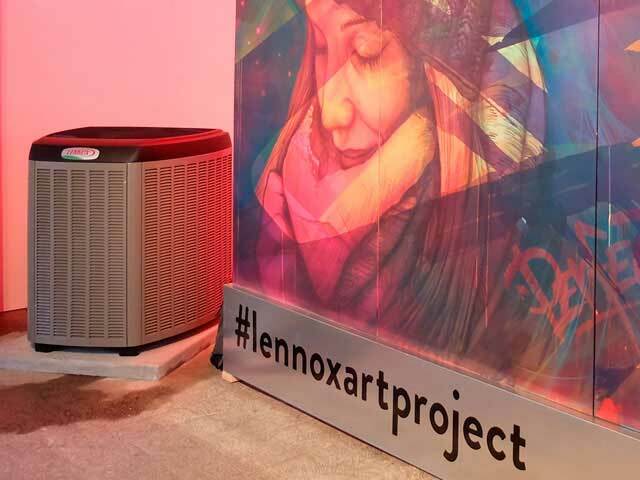 Located inside the Mashable House, the activation included an original Austin-inspired mural and make-your-own temperature changing mural where users 'painted' with cold, compressed air.